Outside of the Robert Rauschenberg exhibit. One of Keith Haring's posters. It’s been almost two months since I’ve made Hamburg my new home. Coming to study art in Hamburg, experiencing the richness in culture, and enjoying the arts has made me love it much more than I would have expected. From the smiley face graffiti that I see everyday as I make my way to my university’s campus, or even on a short trip to Aldi to the beautiful architecture of the city’s center, Hamburg is constantly surrounded by the arts. While all of this serves as constant inspiration, you don’t want to forget about the museums. As a student, I am given a card that allows me to visit select museums all around Hamburg for free, and honestly it’s been a lifesaver for those slow weeks when you have artist's block and need inspiration. The first museum that I visited since I arrived to Hamburg was the Museum für Kunst und Gewerbe (loosely translated to the Museum of Arts and Crafts). Despite the museum being located near Hamburg's central station, Hauptbahnhof, I struggled for about 20 minutes until I could find it and its entrance. 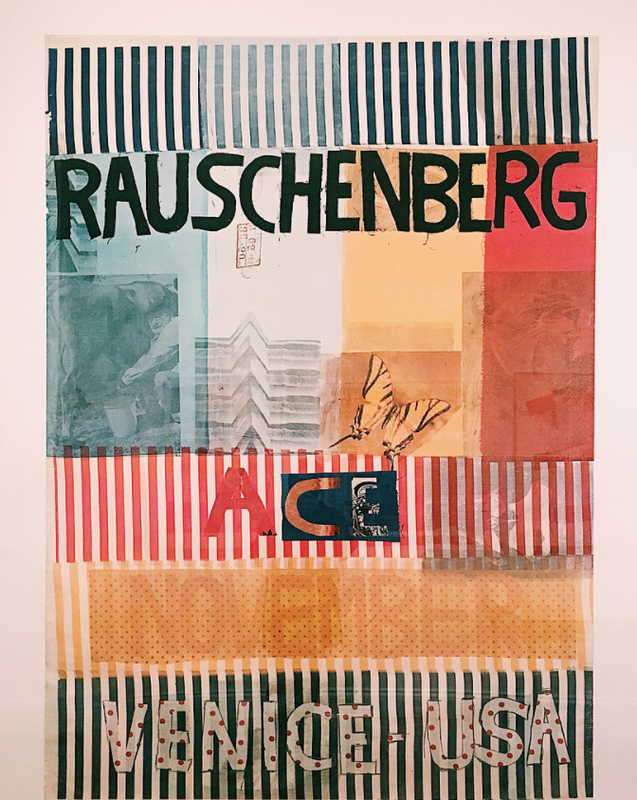 I came to this museum with one main objective: to see Robert Rauchensberg’s Posters Collection at the museum, which would be leaving just three days after my visit. An added treat was the Keith Haring Posters which, needless to say, added to my love for his bold style and use of color. An interesting aspect of my visit, however, did not come from these two wonderful exhibits, but from the other permanent exhibits. After visiting the Museum für Volkerkunde (Museum of Ethnology), I can say that here in Hamburg, awareness of cultural diversity is an important topic when it comes to museums. The Museum für Kunst und Gewerbe showcased European art from different mediums and art periods, but it also gave visitors a chance to look at other regions of the world. For example, the Islamic art collection showcased clips of the oldest surviving animated feature film that was based on One Thousand and One Nights, to modern comics by and about Muslim women in today’s society. At the Museum für Volkerkunde, the first exhibit teaches children about Native American history, including the impact that colonists had when they arrived to the "New World.” One part of the museum that was incredible to see was an exhibit that focused solely on the concept of beauty and fashion in Africa throughout the years. While exhibits like this are not a groundbreaking thing, it was incredible to see how museums are taking their part in ensuring that their visitors understand cultural differences and history itself.